Rick Lance Voice Acting News: Voiceover 101: Do You Need a YouTube Channel? There are many industries that have greatly benefited from the creation of YouTube, but few have benefited more than voiceover. 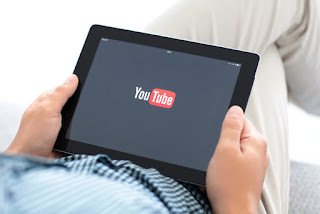 Not only is this a great source of potential work – with so many people creating YouTube channels for business- and personal reasons, there are plenty of potential clients to be found in this social realm – but it is also a great place to advertise our skills. So, do you need a YouTube channel? It certainly isn’t mandatory, but there really is no good reason to avoid making use of such a powerful marketing tool. Not only can you create short videos that tell your personal story and showcase your vocal strengths for websurfers to discover on the social platform, but you can then take them and embed them on your website. So, whether that potential client opts for option number one or option number two, he or she is certain to find what is being sought out. 1. An introductory video: This piece is created to give visitors more information about who you are as a human being, perhaps a bit about what made you decide to become a voiceover artist. 2. A tour of your studio: You can be certain that the potential client is searching your name to determine just how professional and trustworthy you would be, if hired. A studio tour provides a glimpse into your work space that would be valued by those considering hiring you. 3. A voiceover sample: If there were a few things that you would have liked to have done on your demo that you just didn’t have space for, create a separate recording and post it to your YouTube channel. This provides that little bit extra that a potential client may seek out. I've placed my Video Narration Demo on my website, YouTube and Facebook. On Facebook It has been viewed over a million times and is referred to often by my clients/potential clients.